If fear has ever gripped you and your family after receiving a bad medical report, then this book is a book you want to read. Her story will truly inspire your will to live even in the face of the most uncertain medical situations. Perhaps someone has given you or a loved one a terminal medical report, even as your body is experiencing something that neither you, nor the medical community truly understands. Tumors are spreading in your body like an uncontrolled wild fire. If you have ever been asked to cut a dear part of your body off, such as your breasts or you’ve lost your ability to walk due to the pain of your condition, then you want to share in Shatrece’s story. Or, just maybe you’ve been asked to step on the never-ending treadmill of hospital visits, chemotherapy treatments and radiation therapy along with the agonizing mental and physical side effects of each. Whichever the case, come and share an absolutely riveting account of an Army Lieutenant Colonel, who endured cancer five times while raising a family, deploying to Iraq and leading a ministry. Discover Shatrece’s best offensive weapon in overcoming this dreaded disorder! 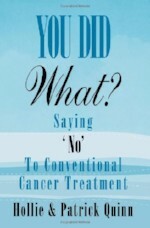 Don’t let a cancer diagnosis fill you with feelings of fear, panic, and helplessness. 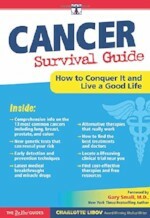 Take back your power with Cancer Survival Guide. This is a story about a young woman with a very common but deadly illness who did a very uncommon thing when faced with that disease. She disagreed with her doctors, rejected their treatment advice, and chose her own path to getting well again. She did this in the face of paralyzing fears of dying and leaving behind a motherless daughter. She did this in the face of the daunting task of researching and choosing a better treatment. She did this in the face of the intense pressures of social conformity telling her to listen to her doctors. What she did was extraordinarily brave and forward-thinking. In effect, she forged a better path through a thicket of fear, complexity, and pressure. She forged this path with the help of her husband, working as a team and exhibiting unyielding togetherness. 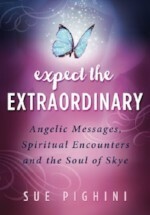 This book chronicles the journey they took together, back to health. We receive so many amazing testimonials for the work we do. But it's not often that we get featured in a book! 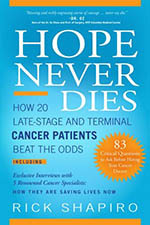 We are honored to share that Donnie Yance and Mederi Care were recently featured, along with four other renowned cancer specialists, in an inspiring new book titled, Hope Never Dies, by Rick Shapiro. 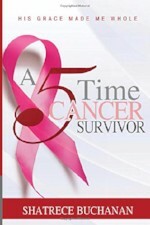 The book features the stories of 20 late-stage cancer patients that were given short time periods to live. Each patient opens up to Shapiro, being vulnerable and sharing their stories of fear, shock, and then of hope and survival. Every single story is extremely inspiring to say the least. The courage of these people to not only share their stories, but to trust the alternative methods they utilized in order to continue, survive, and in most of the cases thrive well past their original dire diagnoses, really shines through. We want to share some of the powerful quotes from the book with you. "The doctor pulled a book off her bookshelf by Donald Yance. The doctor said, 'This guy knows what he is talking about, Read it.'" "I made my mind up, I would not go down the conventional path. Not because I was grasping at alternative pathways, but because I felt the research strongly indicated, logically, that the conventional path and past studies did not show very favorable results. On the other hand, the botanical path made more sense to me. It seemed logical, it was non-toxic and my research indicated that it brought about much more favorable results. "I don't think I would be here if it wasn't for Donnie (Yance)..."
"I would point people to the Mederi Foundation, get Donnie Yance in your life. He is the 'real thing' and cutting edge with his botanical oncology protocols. Unfortunately, too many people don't follow recommendations, but his have proven to work wonderfully well for me.